Excellent security shutters, roller shutters and doors repair company.Very prompt service, 24hours round the clock.Highly recommended. Speedy service and good customer service. 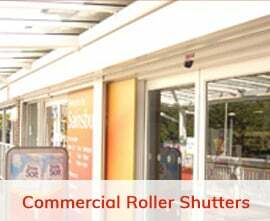 Highly recommended Roller shutter repairs company. Very prompt emergency service. We had issues with our shopfront shutter. From the initial call to arranging an engineer that repaired the shutter took around 2.5 hours. Especially being out of hours. Thank you for helping us out. Fair prices for emergency callout and repair especially at 4am in the morning.Helped us out when others couldn't.Great service and expert engineers. Prompt and reliable service. Our shop front shutter broke down over the weekend. We had a competitive quote over the phone and an engineer out to us within a few hours. It was efficiently repaired within the hour.Top marks. Very pleased with the service. Knowledgeable engineers who got the job fixed within the hour. In time before our customer turned up to our restaurant in Central London.Highly recommended. When a problem occurs with a fire exit door, you need to get it sorted out without delay. This is because this can pose a risk to the health and safety of those that work inside or visit the building, which is why immediate attention is necessary. Your fire doors should always be in proper working order to adhere with health and safety regulations, so if a problem does occur you need to get a repair sorted out without any delay. 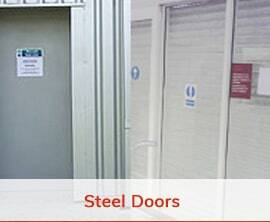 In the event of a problem with your fire exit door, you can call Security Shutters Ltd at any time of the day or night. Our 24 hour emergency fire exit door repairs service means that you can get the problem rectified right away, so you won’t have to take any risks when it comes to your business premises and those inside it. Our expert repairs professionals are reliable and efficient, so you can get the job done quickly, affordably, and to very high standards. We can restore security, safety, and peace of mind by getting the repairs carried out right away.